When it comes to scones, I can come up with hundreds of recipes. And how do I do that you ask? Simple, scones are cake and muffin’s cousins (just kidding) but in reality you can add any flavor used in cakes and muffins. Today I was actually craving sticky date pudding, but don’t have much time on hand, so I ended up with adding dates in my scones. Dates are energy boosting fruit and I love to have some with my coffee whenever available. When I added the dates to my scones it made them softer from the inside and in every bite I could taste a small piece of date. It’s a great breakfast, it tastes good and healthy for you. Talking about health there is one more thing I’d like to share with you. Lemon Water On-the-Go from Full Circle Home. This product is great to have if you are looking to follow a healthy lifestyle, it will always remind you to have your lemon water. I like the design of the bottle, since I can have a good grip when holding it. The soft base allows me to place the bottle on any surface without the fear of scratching or breaking it. I usually have my lemon water plain, but at times and to add more benefit I add a teaspoon of honey. Other times I add some mint after tapping it with the back of a spoon since this release the oils in the mint. If working out, then I add a small piece of ginger, this boosts the metabolism even more. But if you want to taste the real deal, add some raspberries. Storing and cleaning this product is no fuss. Helps in digestions, it is believed that drinking a cup of lemon water early morning and before breakfast actually help in aiding your digestion and clearing the liver. If you want to have clear skin, lemon water can aid in achieving that, since it is full of vitamin C and other antioxidants, which helps in ridding the body and the skin from toxin, and will delay the appearance of wrinkles and fine lines. Losing weight is not easy but did you know that drinking lemon water suppress the appetite, and lessen your cravings for food? Lemon water can boost your immune system, being rich in Vitamin C lemon water can help in reducing symptoms of cold. Drink some to reduce chest infection, it also reduces fever. And let’s not forget that lemon water allows you to have fresh breath. Like Full Circle Home on Facebook. Follow Full Circle Home on Twitter. For multiple entries you can like Munatycooking on Facebook, follow my tweets, or subscribe to my Youtube channel. Don’t forget to subscribe to my blog to get new recipes in your mailbox and amazing giveaways. This giveaway is open to US RESIDENTS ONLY. End date is Feb 2, 2013. The Winner is Cynthia R.
Preheat oven to 180C - 350F. In a bowl add the pitted dates and hot milk, keep them aside for 5 minutes. This will soften the dates. Add the cinnamon and sugar to the previous mixture and mix well. Use this mixture only after it's cold. In a different bowl, add flour, baking powder, and salt, whisk to combine. Add the butter to the flour and using a fork or a wooden spoon mix in the butter, until you get bread crumbs like mixture. Add the date and milk mixture, to the flour and butter, using a fork mix gently. Don't over mix. Place the dough on lightly floured surface, gather the dough to form a ball, then press it down to 1/2 an inch disc. Cut into triangles, place on baking sheet and brush with milk. Enjoy with butter or jam, personally it tastes great on its own. 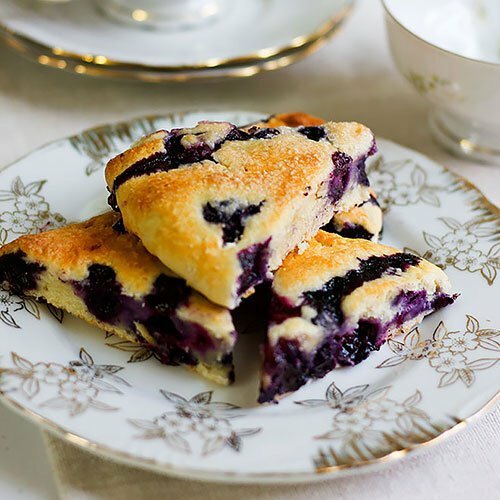 Wow…lovely scones recipe….they looks so delectable…. Hey Vimitha, thanks and I love your double chocolate cookies, going to try them this weekend! Muna, I love how golden brown and beautiful these date scones look! They tasted great Angie, hope you can try them! I love scones. They are awesome for a late night snack. I love scones. This looks like a very tasty recipe. I hope you like the taste! i am following you on fb and twitter 🙂 i used to eat scones but have not in years.. feeling pretty tempted.. thanks! The Date Scone recipe sounds really good. I think I will try it as soon as I get some dates. I love lemon water in summer, this would be perfect, I want this! I liked you on Facebook! I would so love to win this water bottle – I try to water with drink lemon/ginger everyday to stay healthy! I never knew this product existed – so cool! Thanks for the giveaway. Scones are so perfect for b’fast and date ones are really jazzing them up. My husband likes anything dates and I bet he would love these breakfast beauties. I like to bake a mini version to snack on at times! I LOVE this bottle! I love lemon in water and this is such a great idea…….I must have one! Such a shame I don’t qualify!! I love my lemon water, and lemon green tea! hah you make it sound so easy! I’ve honestly never made scones before. I feel like I ought to try now! What a delicious looking recipe! I love dates and LOVE sticky toffee pudding but have never had them in scones, great idea! I am such a huge lover of dates… This recipe is a must try for me now.. I liked and followed Full Circle Home on Facebook and twitter. i follow full circle on Facebook! I follow Munaty Cooking on Facebook! Like full circle home on fb and am following on twitter. These look really good! And what a great giveaway! Liked and followed. I liked the Full Circle Home and Munaty Cooking Facebook pages! I also followed Full Circle Home and Muna on twitter. Thanks so much for giving us the chance to win! I love your website. Your scones recipe looks so delicious! Thank you Fiona, hope you try them soon! Like Full Circle Home on Facebook.! I liked Full Circle on Facebook. I liked MunatyCooking on facebook. I have been hearing so much about lemon water lately! Liked Full Circle Home on Facebook. Followed Full Circle Home on Twitter. Food and a drink, what else is there to end a good night.